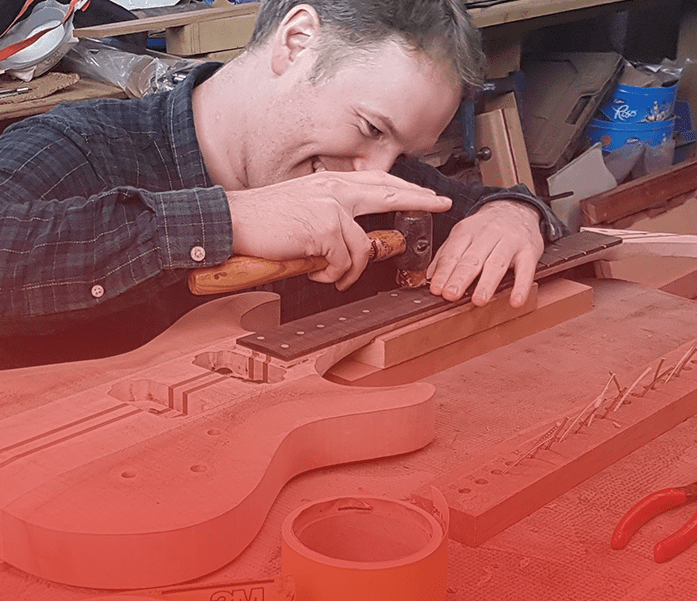 Meet Mark Bailey in his workshop in the Carrick Hills and spend up to a week building your very own instrument from scratch. 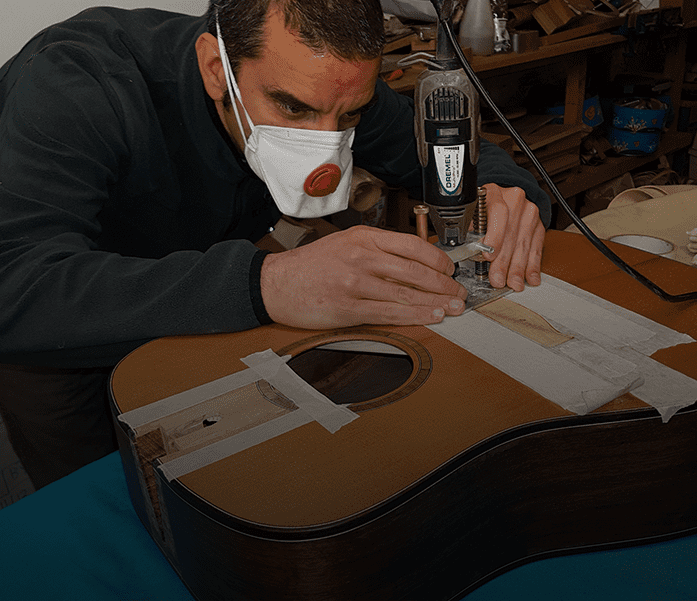 A five day course to build a simple guitar from scratch. For first time builders and people who may want to have a go at home. 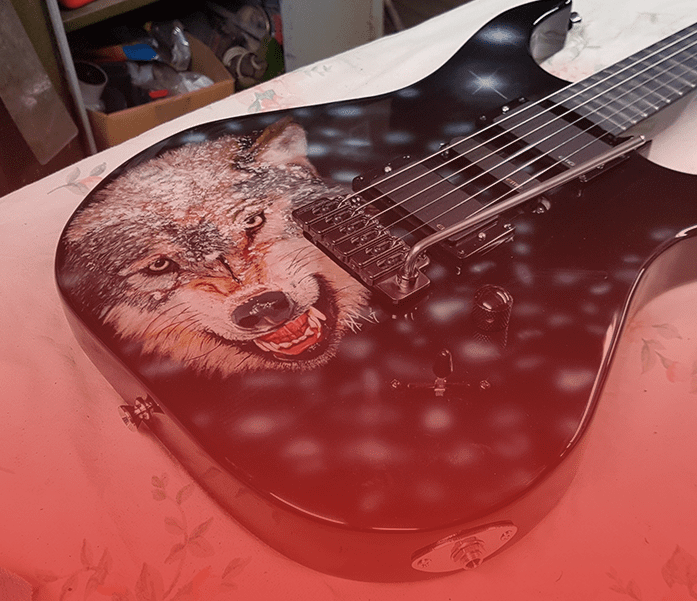 This is the course for those who want more scope for customisation and to make guitars with some extra spec items. This is a longer course to build a totally custom guitar from scratch. For people with a bigger budget, who want a guitar with all the extras.